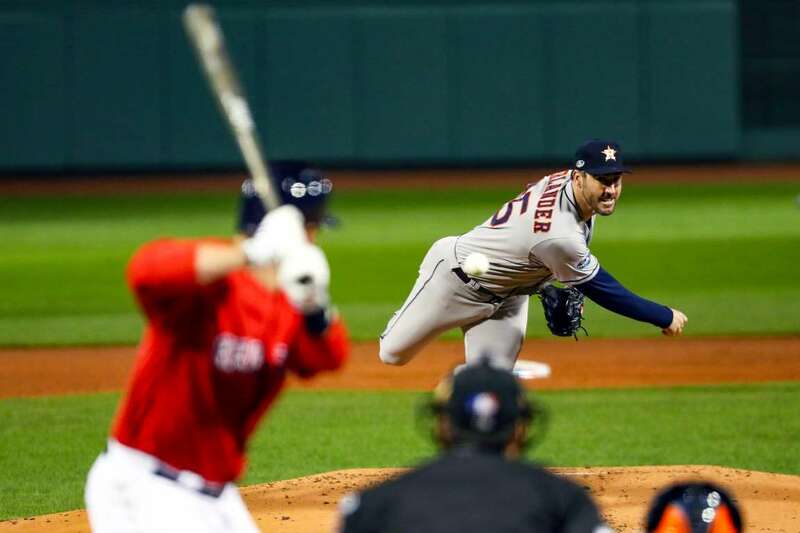 Justin Verlander of the Astros pitches during Game 1 of the ALCS against the Red Sox on Saturday, in Boston, Massachusetts. The Astros won 7-2. 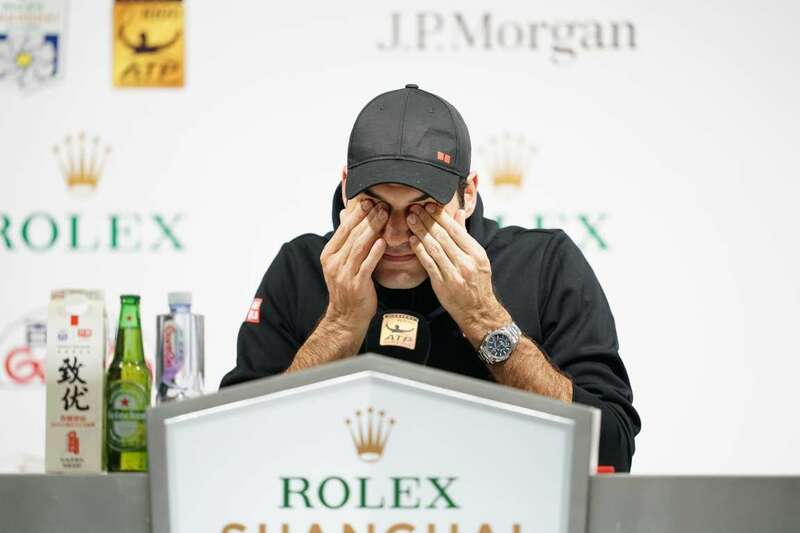 Roger Federer attends a press conference after a defeat by Borna Coric of Croatia at the Shanghai Masters on Saturday in China. 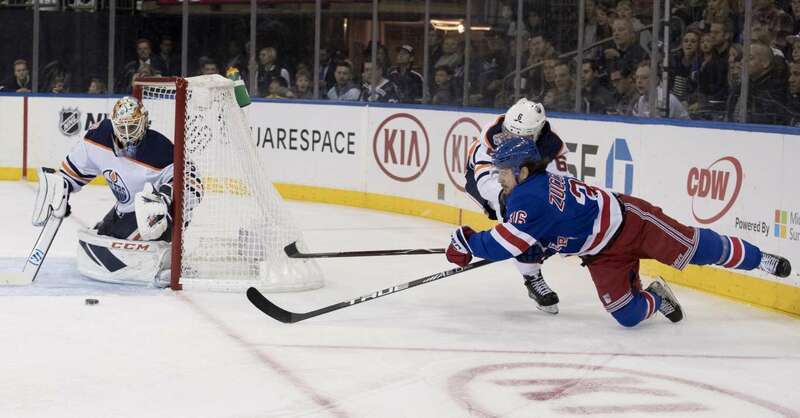 The Oilers’ Cam Talbot tends net against a shot by the Rangers’ Mats Zuccarello on Saturday in New York. Edmonton won 2-1. 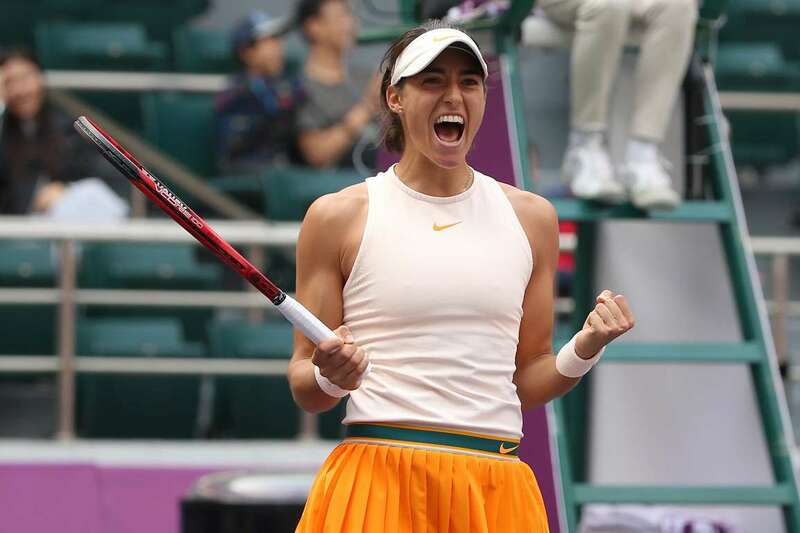 Caroline Garcia of France celebrates after winning the semi-final match against Su-Wei Hsieh of Chinese Taipei during the Tianjin Open on Saturday in China. Garcia won 6-3, 6-4. 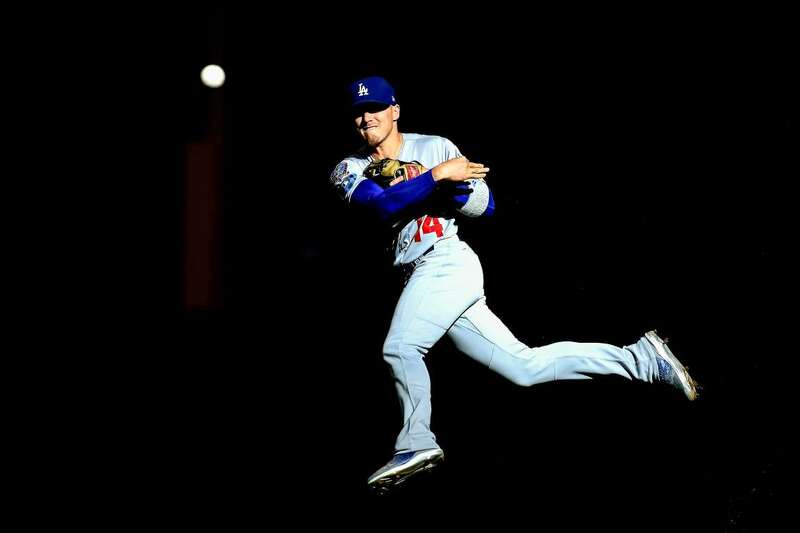 Enrique Hernandez of the Dodgers fields the ball against the Brewers during Game Two of the NLCS on Saturday in Milwaukee, Wisconsin. LA won 4-3. 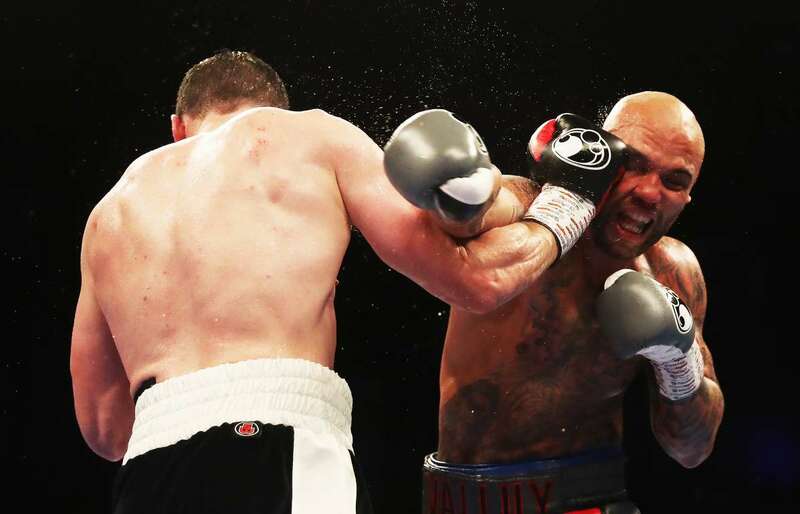 Craig Glover fights Simon Vallily during a Cruiserweight Contest on Saturday in Newcastle upon Tyne, England. 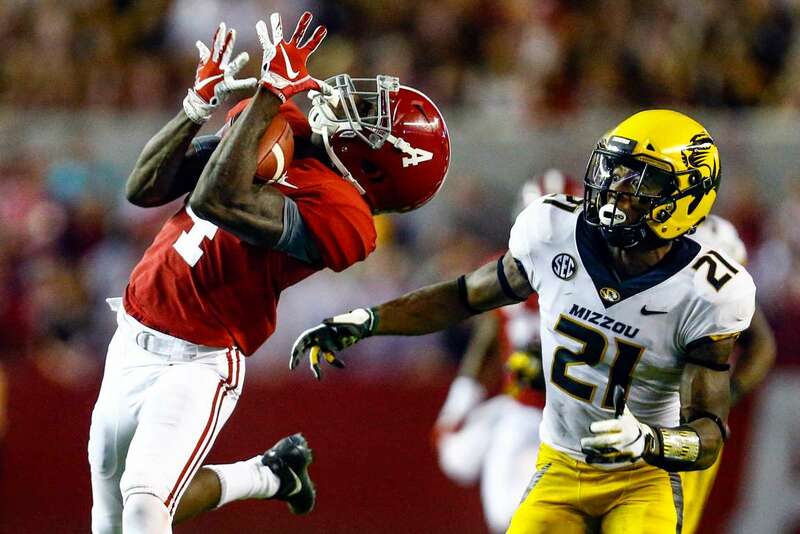 Alabama's Jerry Jeudy (4) catches a pass against Missouri's Christian Holmes on Saturday in Tuscaloosa, Ala. Alabama won 39-10. 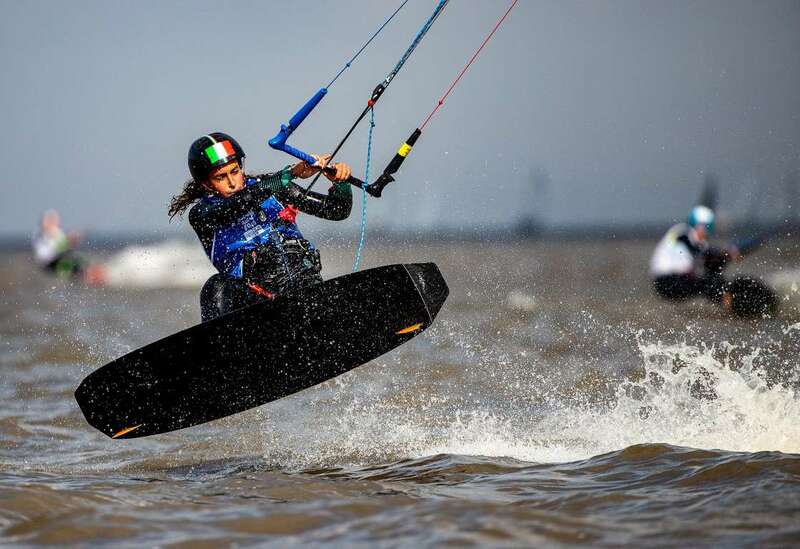 Sofia Tomasoni of Italy competes in the Final Race of the Sailing Kiteboarding IKA during The Youth Olympic Games, in Buenos Aires, Argentina, on Saturday. 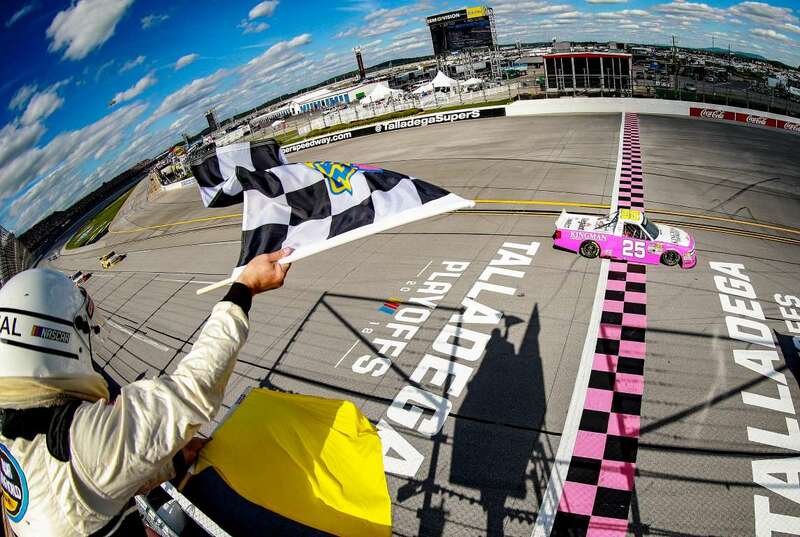 Timothy Peters, driver of the #25 Kingman Chevrolet Chevrolet, takes the checkered flag to win the NASCAR Camping World Truck Series Fr8Auctions 250 on Saturday in Talladega, Alabama. 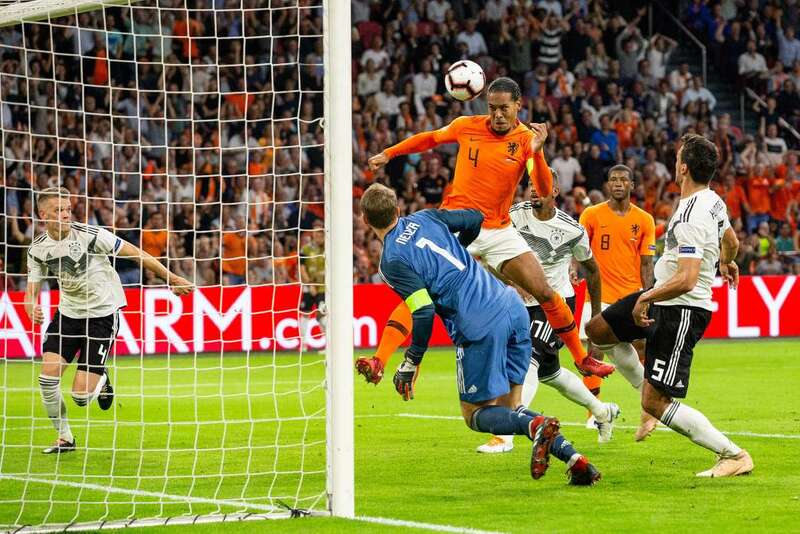 Germany's goalkeeper Manuel Neuer defends as Virgil van Dijk of Holland heads the ball during the UEFA Nations League match on Saturday in Amsterdam, The Netherlands. 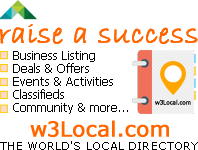 The Netherlands won 3-0. 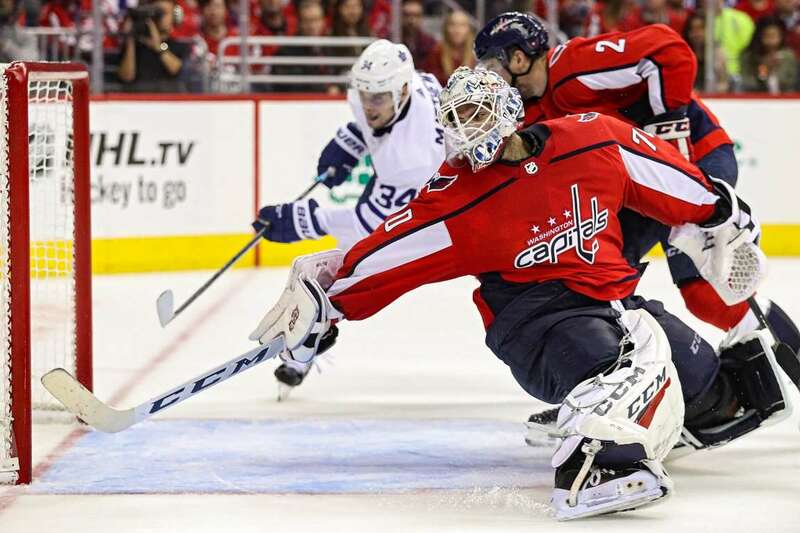 Goalie Braden Holtby of the Capitals cannot make a save on a goal by Auston Matthews (34) of the Maple Leafs on Saturday, in Washington. Toronto won 4-2. 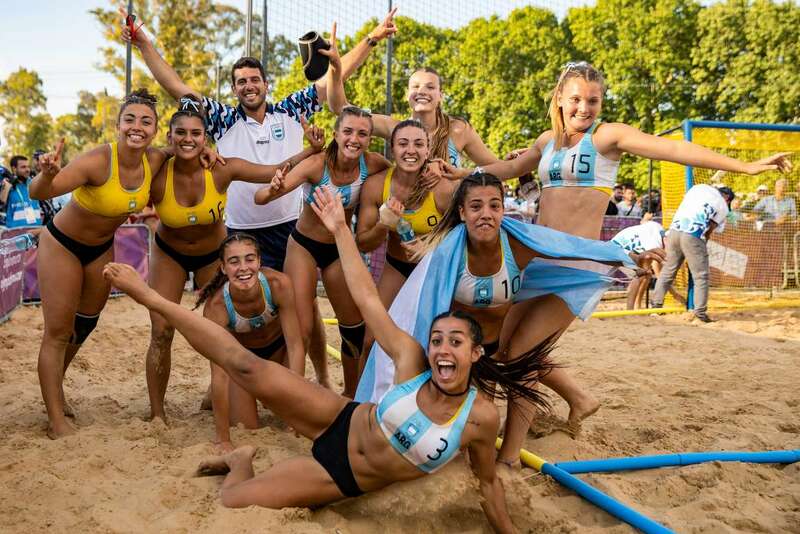 Argentina players pose for a group photo after winning the Beach handball tournament at the Youth Olympic Games, in Buenos Aires, Argentina, on Saturday. A competitor crosses a water obstacle during the Wildsau Dirt Run (Wild Boar Dirt Run) obstacle course fun race in Obertriesting, Austria, on Saturday. 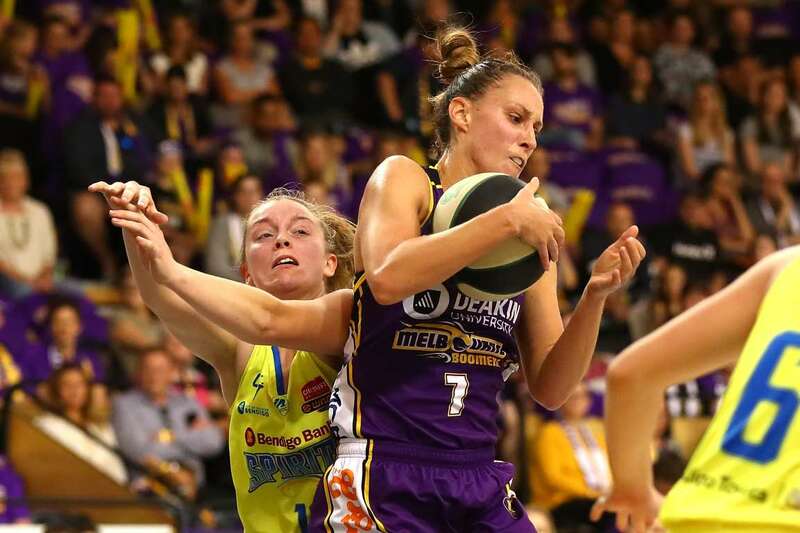 Ash Grant of the Melbourne Boomers competes for the ball against the Bendigo Spirit on Saturday in Melbourne, Australia. Novak Djokovic of Serbia in action against Alexander Zverev of Germany during the Shanghai Masters semi-finals match in China on Saturday. Djokovic won 6-2, 6-1. The Wild' J.T Brown (23) and the Hurricanes' Valentin Zykov (73) collide on Saturday in Saint Paul, MN. The Hurricanes won 5-4. 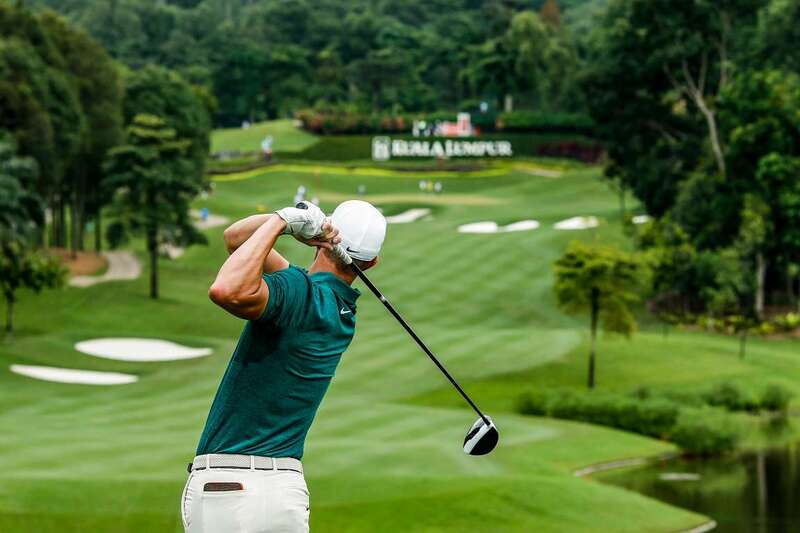 Kevin Tway plays his shot on the 10th tee during the CIMB Classic on Saturday in Kuala Lumpur, Malaysia. 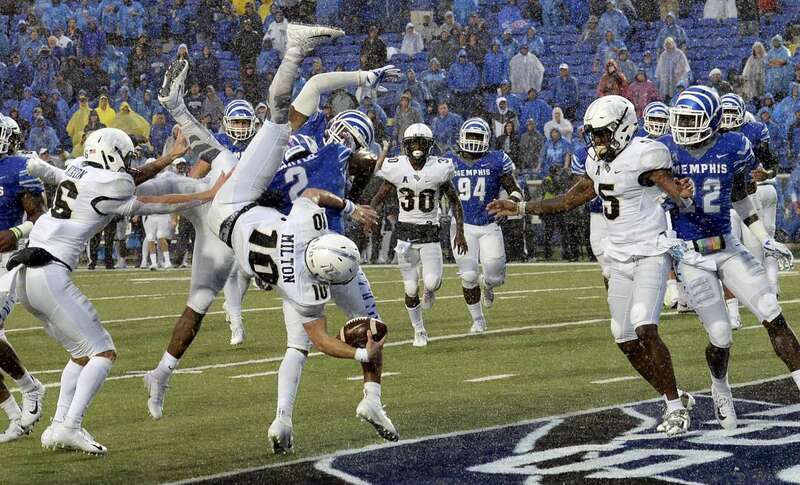 Central Florida's McKenzie Milton (10) dives over Memphis' Josh Perry and T.J. Carter as he scores the go-ahead touchdown on a 7-yard run on Saturday in Memphis, Tenn. The Knights won 31-30. Justine Fanny Vigouroux of France in action against Heloisa Elena Martinez of Brazil in the 43kg Wrestling match during the Youth Olympics on Saturday in Buenos Aires, Argentina. 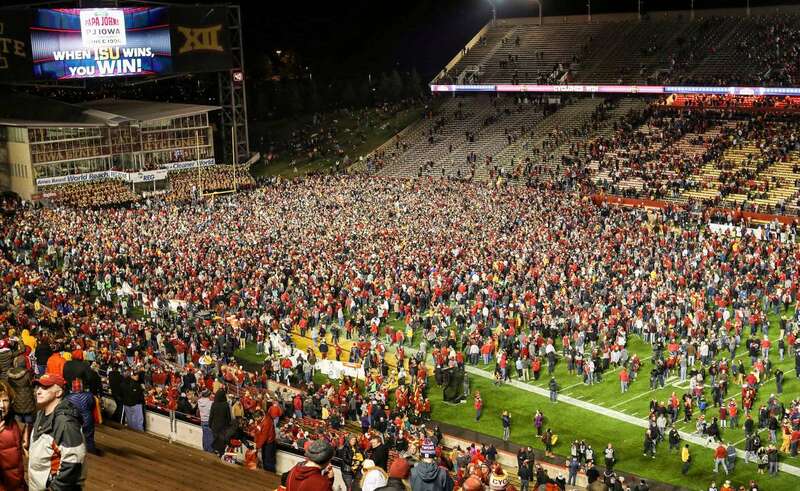 Students and fans rush the field after the Iowa State Cyclones defeated the West Virginia Mountaineers on Saturday in Ames, IA. Iowa State beat West Virginia 30-14. 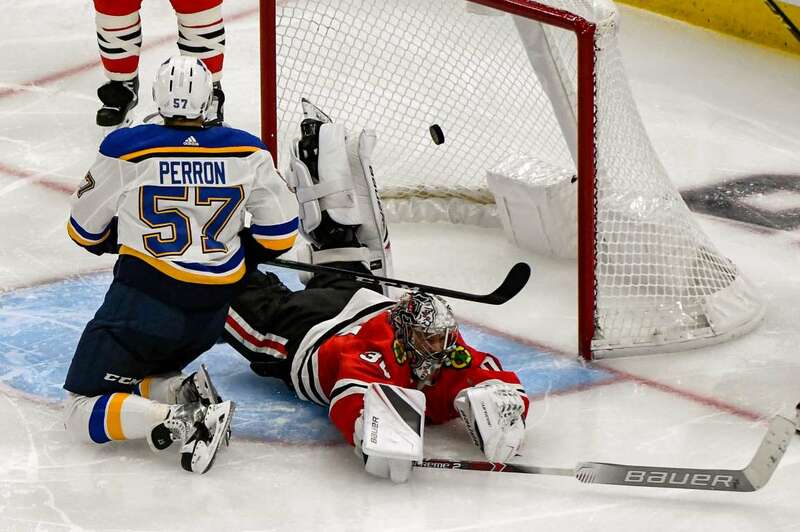 The Blues' David Perron (57) scores a goal against the Blackhawks goaltender Cam Ward (30) on Saturday in Chicago. The Blackhawks won 4-3. 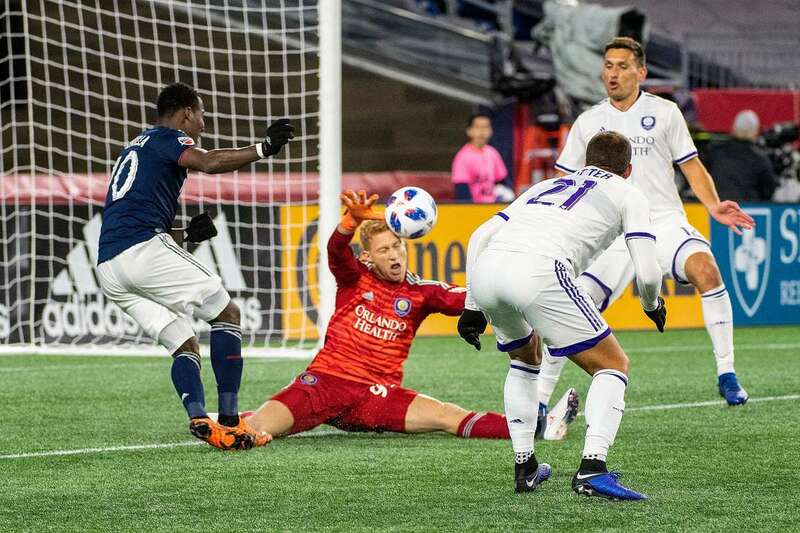 Orlando City's Adam Grinwis (99) saves New England Revolution's Cristian Penilla (70) shot on Saturday in Foxborough, MA. New England won 2-0. 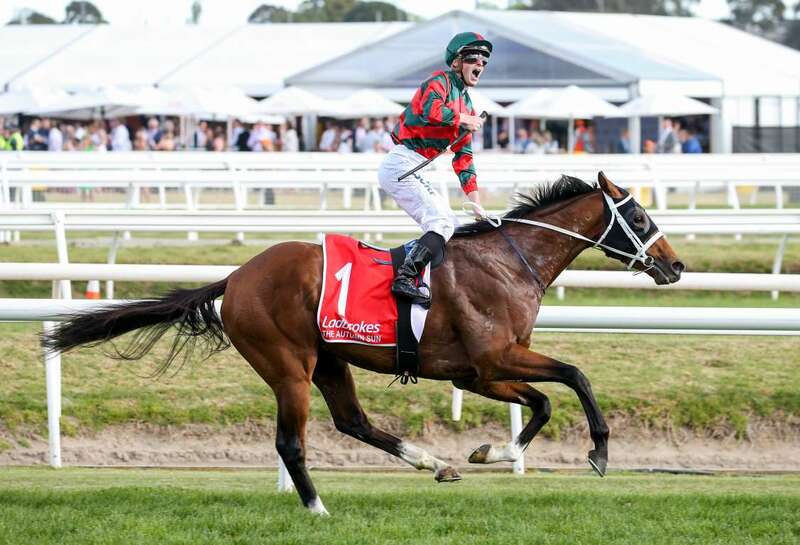 The Autumn Sun ridden by James McDonald wins the Ladbrokes Caulfield Guineas on Saturday in Caulfield, Australia. 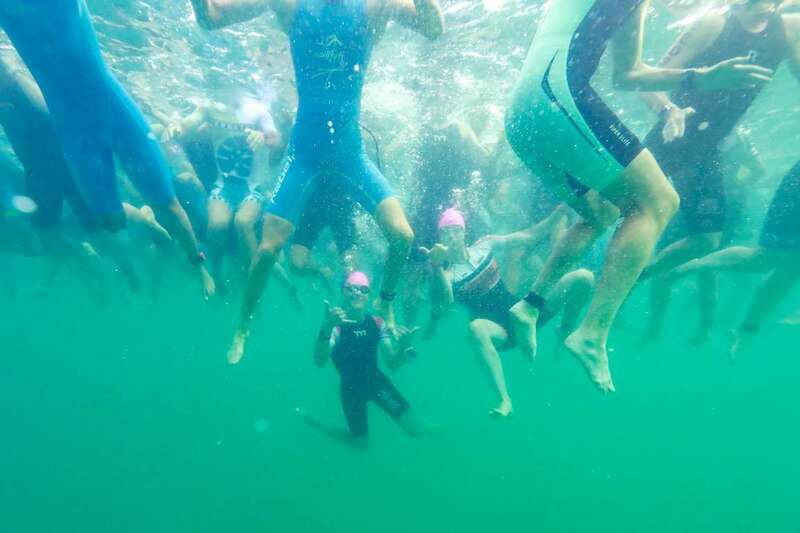 Age group swimmers prepare for the start of the IRONMAN World Championships brought to you by Amazon on Saturday in Kailua Kona, Hawaii.